As you probably have seen, I have not had much activity on here over say the past 6 months. For those who may or may not have known, I had moved over the summer from Plaistow NH to Sandown NH. Prior to the move I had sold off almost 90% of my inventory so to lessen the risk of any losses. I had originally anticipated to be back up and running by now but been a little delayed. 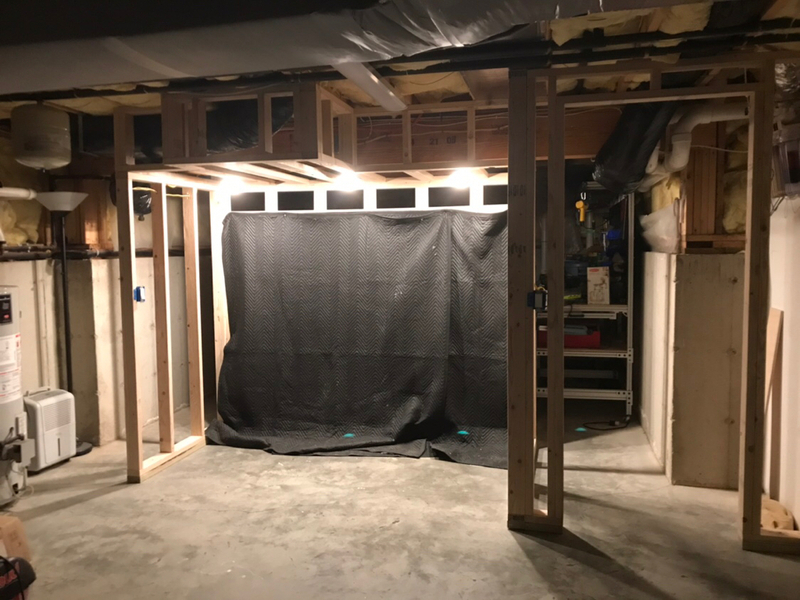 I am happy to say the rebuild has finally commenced. I am hoping to be back up and running by this summer with some nice new inventory for you all to feast your eyes on. Like before I will be operating out of my home but not will a lot more ease of access. 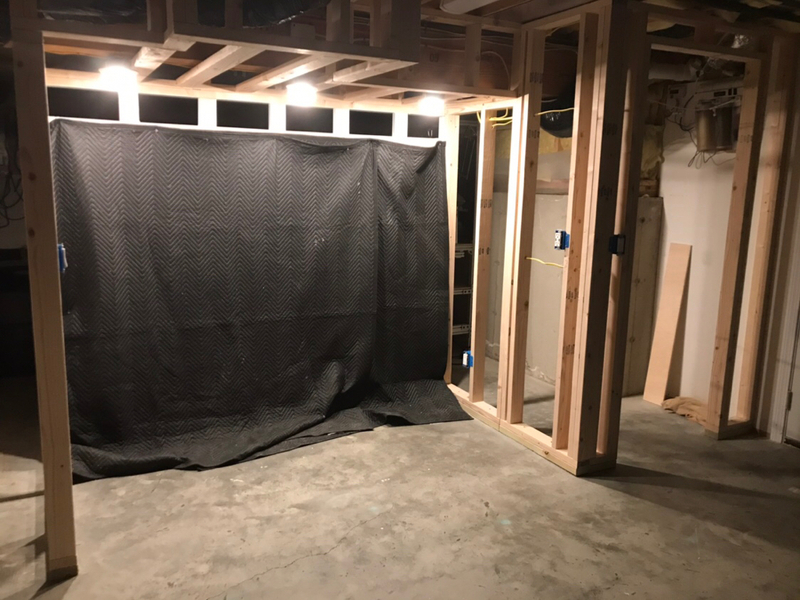 I am in the middle of starting a basement renovation with a nice in wall display that will house all the nice goodies of colonies with the fish room behind and frag tanks. Nice! Congrats on getting started back up again. Oooh, that display is going to be fabulous. Can’t wait. I honestly haven’t had a personal display in about 3 years. 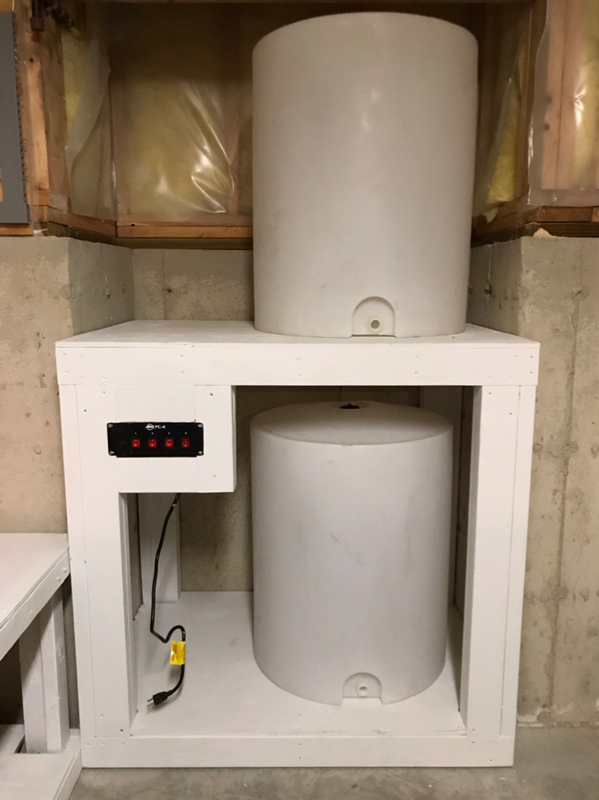 Soon to be water change station. Waiting on my new 50g drums. Everything will be tied directly into the sump. Auto top off right from the RO drum and water changes at the flip of a switch. Stand to the left will be for a 4x2 frag tank. Controls above will be getting completely redone. Going another direction on how I am setting it up. 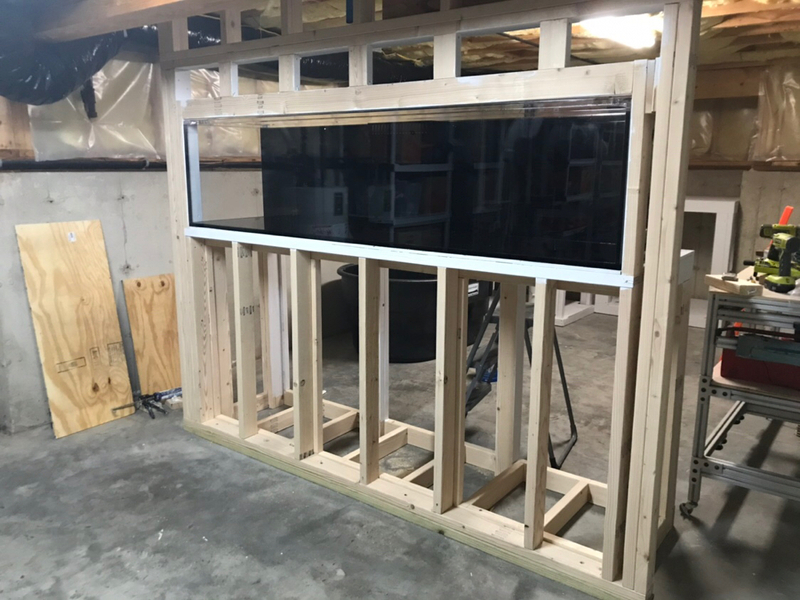 Also spent some time getting the wall where the tank will sit and the stand. 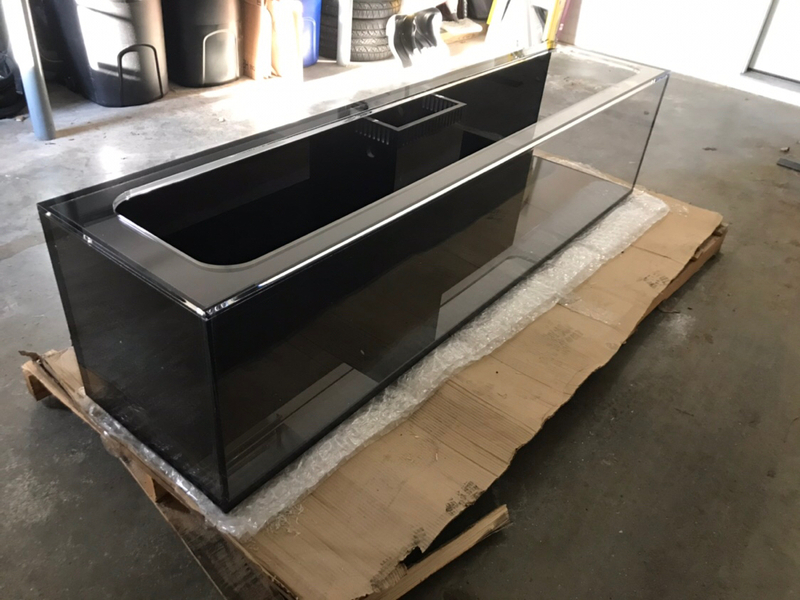 Finishing up coating the inside with Killz and shooting to at least get the tank into its final resting spot this weekend. In its final resting spot. Thanks. Prob will slow down soon though. Was just trying to get the tank out of the garage. Still will be awhile before water hits it. It is going to taunt you until it's wet. Then it'll taunt the rest of us. Well, it'll taunt most of us. There are some other show stoppers around here (cough *Nick*). My rebuild is taunting me every moment of every day and it’s got just fresh water in it. I live in the area and will be moving in the coming months. Reach out to me if you would like take some of my livestock. Yes. That build is incredible. Will put mine to shame. Quick back side shot. 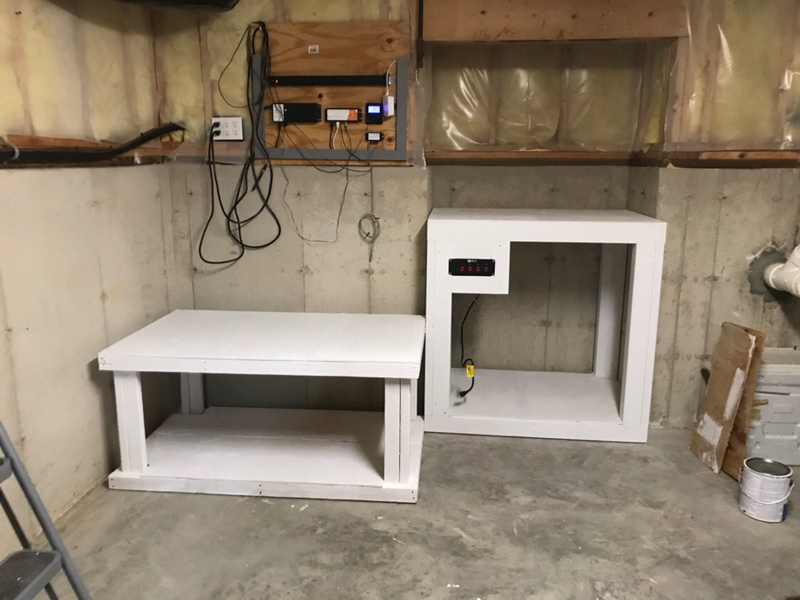 Still need to do some painting in the stand. Underneath I am undecided what I will do. Right now just planning on using it for storage. Put an outlet right about the tank with some plywood to mount an Apex EB8 that will be used to control lights and pumps. After some thought I have decided I am going back to T5 with maybe some led supplement for pop. 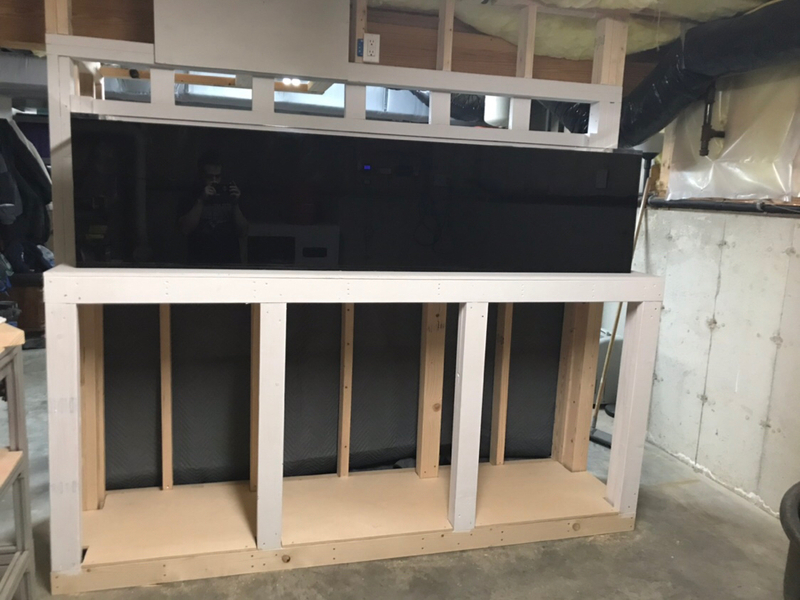 Looking at the space in front of the tank I decided it would be ideal for a nice built in bar. Counter height will be same as the tank height for some perfect viewing while having a drink. 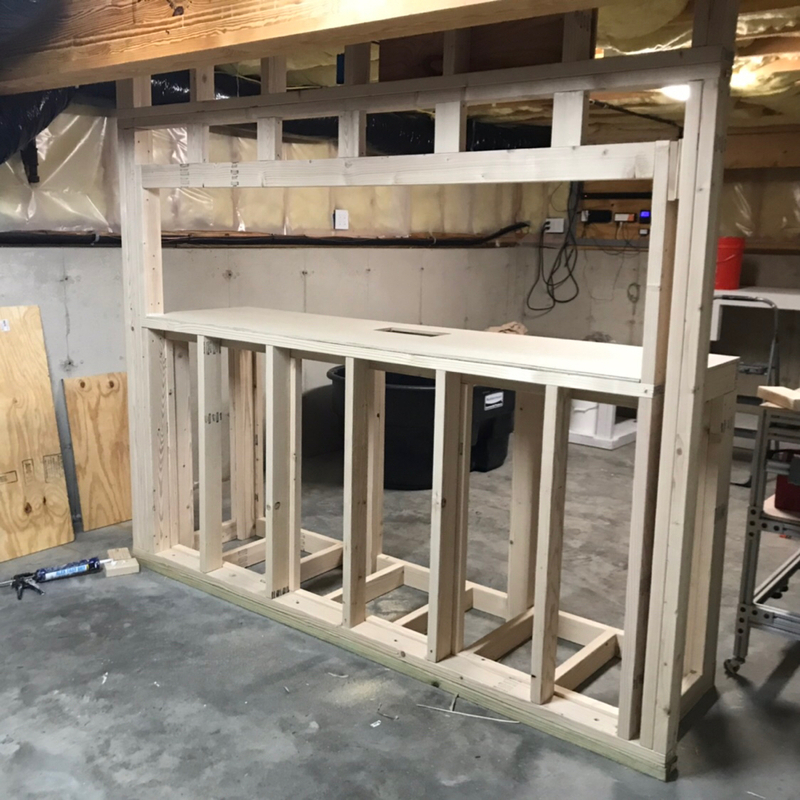 Worked on the electrical today in that area and will be building the bar next. That'll be a room you never want to leave. Water storage tanks finally here. Only took two months lol. Apparently issues with the mold. At little dirty from shipping. Will have to clean them up. These are 50g storage containers. Top will be RO. With the bottom salt mix.